Every person is different, so your dental care can't be a pre-packaged deal. While some procedures or treatments might be right for one person, they aren't always appropriate for others. It's this attitude that helps us offer our patients various dental treatment options. If you're looking for a dentist who makes you feel in control of your oral health, consult Persona Dental. We strive to educate our patients so you can make informed decisions that you feel comfortable with. With the help of our friendly and professional staff, you'll always know what's available to you and how to proceed. Whether your teeth need major restorative work or you just want some aesthetic treatments, we'll meet your needs. Part of what promotes dental and oral health is regular visits to your dentist. 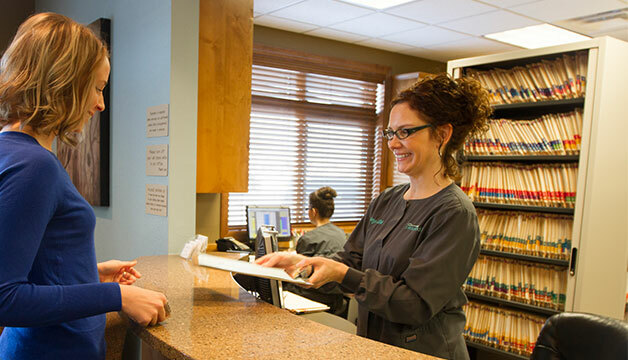 At Persona Dental, we make that kind of care easy with our friendly environment and comfortable amenities. From the moment you walk into our office, you'll feel at ease. We work hard to create a calming environment. From easy-to-get X-rays to our comfortable chairs, your appointment will feel relaxing and convenient. Let Persona Dental be your St. Cloud, MN dentist. We'll give you something to smile about, so call us for an appointment at (320) 251-2972 today, or fill out our online request form.